A large number of patients that come to the Pain Clinics for radicular pain are treated with minimally invasive spinal injection. The purpose of these injections is to deposit corticosteroids and local anaesthetics next to the inflammation site, using either a translaminar or transforaminal, approach in order to decrease or preferably eliminate the pain. In addition to injections, minimally invasive spinal surgery limits damage of soft tissue around the spine, thereby diminishing postoperative pain and allowing earlier return of patients to their regular activities. Advantages of this procedure include reduced blood loss, shorter hospitalization and quicker rehabilitation. Minimally invasive spine surgery approaches have been described for most surgical procedures of the spine over the past few decades including spinal fusion, deformity corrections, and repair of herniated discs. The target of minimally invasive spinal injection is the dorsal root ganglion and sensorial nerve roots within nerve root cuffs affected by degenerated discs or foraminal stenosis. 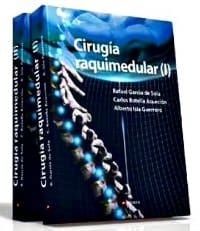 Ultrastructural anatomical features of the spine may help explain their influence on the spread of substances injected in the epidural space and in transforaminal blockade. Epidural steroid injection (ESI) by translaminar approach is a minimally invasive procedure providing pain relief around the neck, arms, back, and legs caused by inflamed spinal nerves. The main causes of back pain include: spinal stenosis; spondylosis; and disc herniation . The effects of translaminar ESI tend to be transitory and its duration shorter, compared to using a transforaminal approach . The transforaminal approach is useful for both diagnostic and therapeutic means in patients with radicular pain frequently caused by disc herniation and foraminal stenosis. It is performed also when more than one disc is involved, or when findings on the electromyogram (EMG) show alteration of two or more nerve roots. In this case, clinicians can differentiate which disc is causing the symptoms, providing valuable information prior to surgical procedures. Minimally invasive spine surgeries embody a growing number of surgical techniques that allow surgeons to perform spinal procedures through smaller incisions. Although certain less invasive surgical techniques have been described by spine surgeons for many years, it is only recently that advancement in technology has stimulated broad interest in the spinal community for minimally invasive approaches. In 1955, Malis started using a binocular microscope intraoperatively in conjunction with bipolar coagulation, to facilitate his surgical approach [2- 4]. Once intraoperative surgical microscopes were estab- lished in surgery for discectomies, Yasargil and Caspar independently introduced the concept of minimally invasive microdiscectomy [5,6]. In 1975, Hijikata described the first percutaneous discectomy . Since then, automated discectomies have replaced percutaneous discectomies. Current concepts include the use of adjuvant therapy in addition to automated techniques involving lasers and thermal heating probes. The concept of minimally invasive spine surgery is advancing rapidly, as new technologies and new applications are being developed.